If you live in the Kitchener-Waterloo area, you know just how useful it is to have a car in K-W to get around. But purchasing a vehicle can be difficult when you have bad credit or no credit. Luckily, we help Kitchener-Waterloo drivers obtain the financing they need to get on the road — even if they have credit problems. Applying is easy, and you can be approved for a car loan in 48 hours or less. Bad credit or no credit? Most applicants can still get a loan. Only the dealer you’re matched with sees your info. Find the best auto loan rates in Kitchener-Waterloo. I just moved to Kitchener-Waterloo from another country. Will I qualify for a car loan? Yes, if you meet a few key criteria. You must be a resident of Canada, have a full driver’s license, make $1,500 per month at your job, and be at least 18 years old. Once I’m approved for my car loan, can I shop around at different dealerships in Kitchener-Waterloo? No. Our car loan service matches you with a specific dealership, and that dealership will offer you the loan. Once you get your loan, you’re free to shop around for a vehicle on the dealership’s lot. How much interest will I have to pay on my car loan? The dealerships we work with offer interest rates that vary depending on your credit rating. How much tax will I have to pay when I buy my car? Sales tax in Kitchener-Waterloo (and the rest of Ontario) is 13%. Remember to factor in this cost when you’re budgeting for a car. 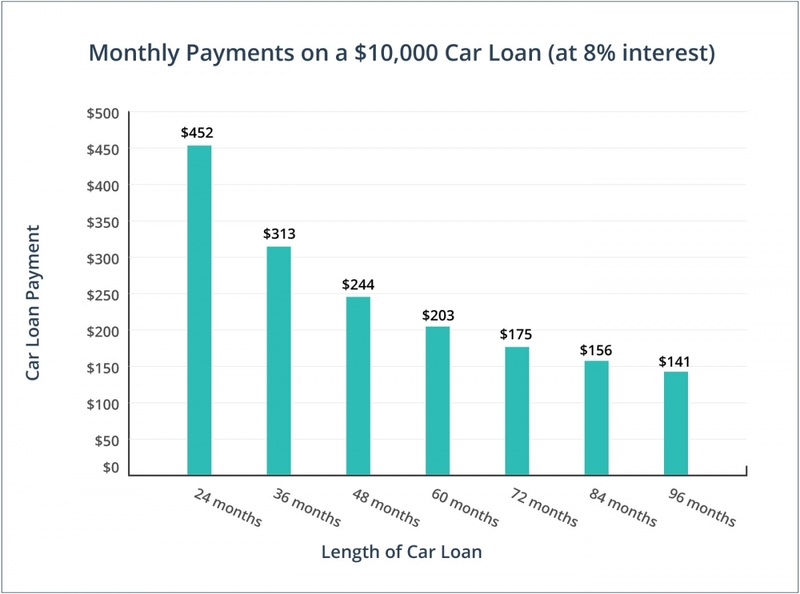 How does the length of my car loan term affect my monthly payments? On a given loan amount (say, $10,000), a shorter term will result in higher monthly payments, while a longer term will result in lower monthly payments. The main advantage of a shorter loan term is that you pay less interest. By setting some priorities in terms of what you want in a car, such as specific safety features, fuel mileage, passenger capacity, etc., you can quickly narrow down the list of vehicles that meet your needs. We know you’re excited to get out on the road in your new car, but first you need to get a vehicle inspection from a certified mechanic. Enjoy your wheels with the peace-of-mind that only a detailed inspection can bring. Simply put, it’s a good idea to separate the terms of your financing from the price of the vehicle you’re interested in. Once you’ve agreed on your car loan details (interest rate, loan term, etc.) with the dealership, then you can shop for a vehicle that fits your budget and you can start negotiating the final purchase price. When you’re ready to sign your sales or financing contract, take the time to read it with great care and ask for clarification if you don’t understand something. Remember, there’s no “cooling-off” period on car sales in Ontario, so your purchase is final unless the dealer failed to make a required disclosure. Purchasing a car from a registered dealer is the same as purchasing from a private seller. False. Unlike private sellers, registered dealerships must comply with the various regulations put in place by the Ontario Motor Vehicle Industry Council. The interest rates on bad credit car loans are always extremely high. False. If you have bad credit, the interest rate on your car loan may be elevated, but you can still find a loan with a reasonable rate by using our site. Registered dealerships don’t have to disclose if a vehicle's odometer has been broken, replaced, or rolled back. False. As part of the 22 mandatory disclosures registered dealers must make when selling a vehicle, all odometer abnormalities must be brought to the attention of the buyer. Before I’m matched with a Kitchener-Waterloo dealership through LowestRates.ca, a credit check is required. False. We don’t perform credit checks on our car loan applicants. Once you’re matched with a dealer, however, they may ask for a credit check before offering you financing. Want to know the wholesale price or trade-in value of your current vehicle? The Canadian Black Book is a good place to start. According to Statistics Canada, 88% of all workers in the Kitchener-Waterloo region commute. Many of those workers probably have a car loan. A survey by Canada’s banks found that over two-thirds of all new vehicle car loans were for terms of 72 months (6 years) or more. If you buy from a registered dealer who fails to follow the law during your car purchase, you could be eligible for up to $45,000 from the Motor Vehicle Dealers Compensation Fund.